Notre Dame starts the TCL showcase off with a 17 point victory over Gonzaga. 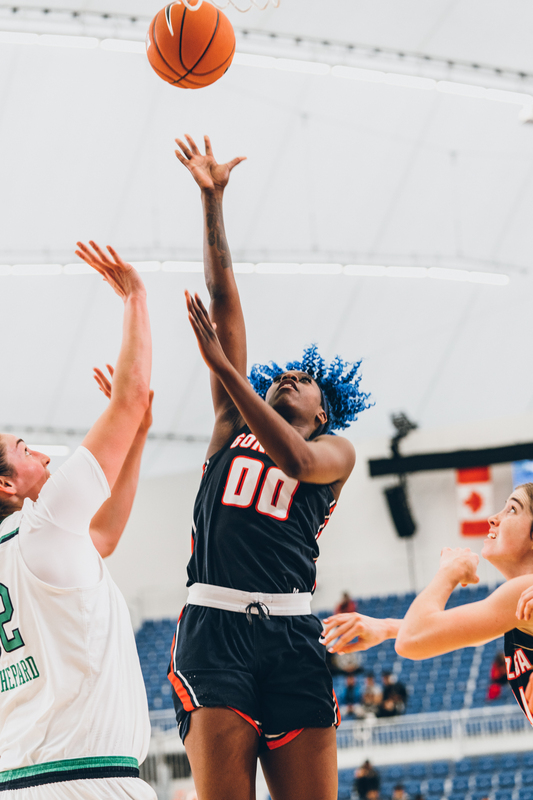 The Zags entered the game with a strong start from forward Zykera Rice who led the her team with 10 points and 7 rebounds in one half of play. Gonzaga were out in front most of the half due to Notre Dame’s low shooting first quarter. 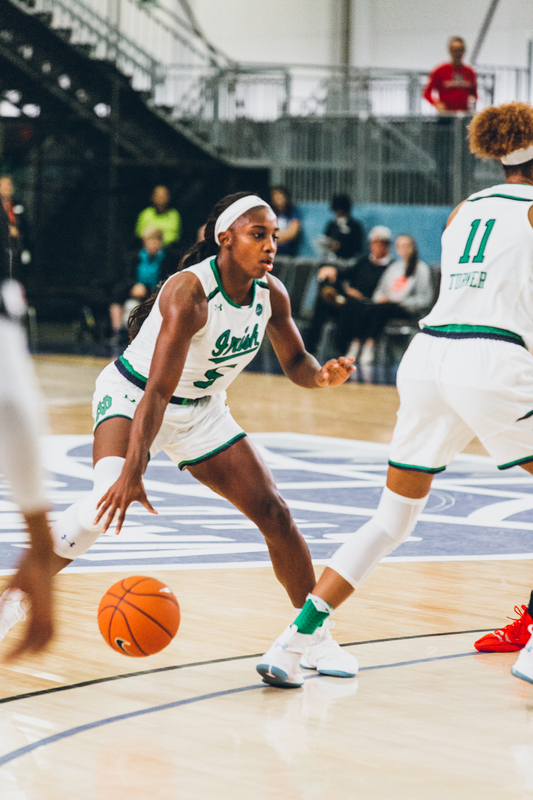 In the remaining quarter of the first half Jackie Young and forward Jessica Shepard would help the Fighting Irish regain control to close the quarter tallying up 25 of the teams 40 total points. Young ended the game with 14 points and 8 assist. In the second half, coach McGraw made a few adjustments and after only scoring 3 points in the first half, star guard Arike Ogunbowale came to life scoring 18 points in the last half alone. 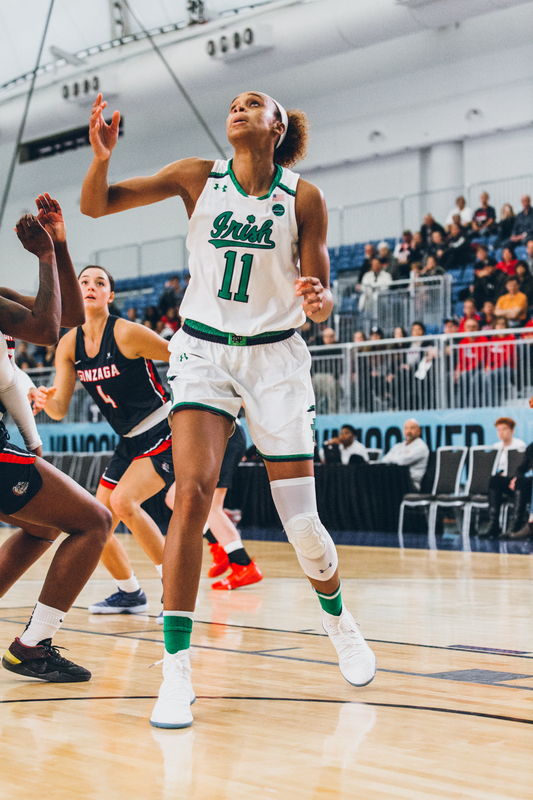 Notre Dame had 5 players in double figures and in her return, Brianna Turner came up big with 16 points, 10 rebounds and 2 blocks while Jessica Shepard added 15 points to go with her 14 rebounds.